Lets be honest growing up and starting out with makeup was never a good look. I hold my hand up for having a dreadfully orange face and no eyebrows with crazy coloured eyeshadow. So I thought I'd put a little starter kit together for some of my younger readers however even if you're into makeup I'd recommend these products to try because they are all pretty good! 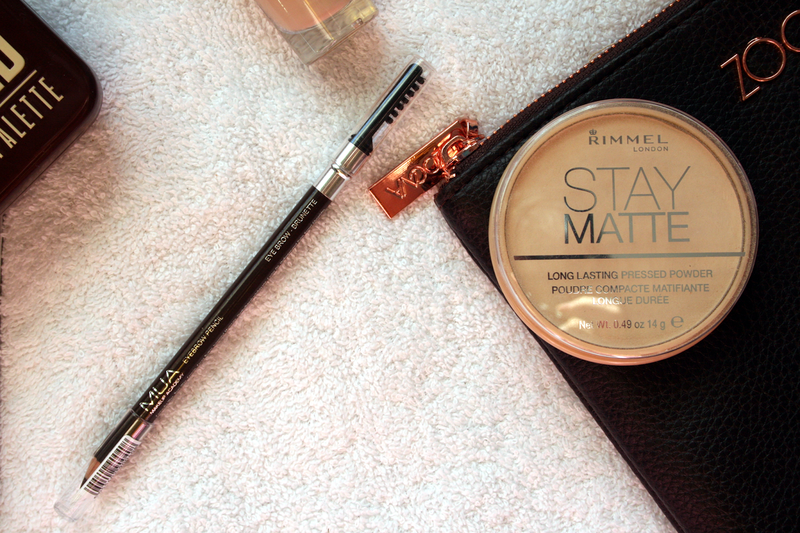 Rimmel Stay Matte Powder for if you want to keep any shine away or you'd prefer a matte face. This powder does it's job and does it really well. It lasts forever and comes in about 3-4 shades. I usually use transparent as it doesn't give any extra coverage but if you would prefer that you could choose a shade that suits you. MUA Eyebrow Pencil in Brunette A face of makeup no matter how little looks a little strange without some eyebrows so a pencil or some powder are great to give your brows some definition. I currently use the Collection brow kit if you'd rather powders and it's amazing. I couldn't decide which eyeshadow palette to feature so I ended up picking both as their both affordable and great quality. 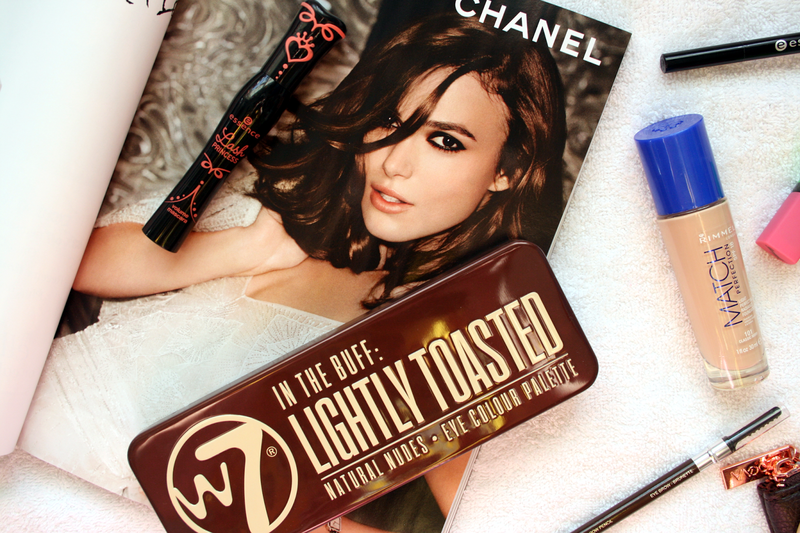 W7 Lightly Toasted* is a great dupe for Urban Decay's Naked palette. It's also really pretty to look at! You can find out more about the palette in the review I done here! Little Mix All About The Eyes by Collection such an amazing palette and I think it's such a great basic palette to have in anybodys collection whether you're just starting makeup or been using it for years! The colours are fab and the pigmentation is amazing! For eyeliner I thought I'd recommend the Essence Eyeliner Pen as I think pens are much easier to use than the little brushes in the liquid liners. This is a great jet black liner and the marker like nib makes it really easy to apply allowing you to create a perfect line to define the lashes or to create a cat eye look. Another product from Essence their Lash Princess Mascara I love this for volume. It's again jet black and a thick formula making you look like you have lashes for days! A great product with an affordable price tag. Finally for lips I thought the Barry M Lipstick in 'Genie' is such a gorgeous subtle pink (don't fret, it is green when you take it out of the tube but it transfers pink I promise!) colour that would suit anybody. Another great quality product for an affordable price. They also offer a huge range of colours so you have a lot to choose from! What makeup would you recommend to someone just starting out? Love love love this post! 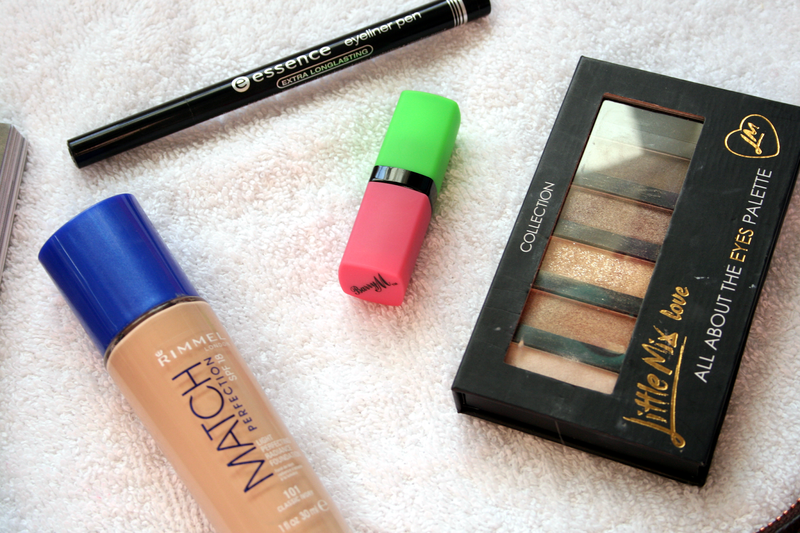 Perfect for makeup starters. How I wish I saw a post like this all those years ago I started wearing make-up! Had all the wrong things, doing the wrong things with them, the incorrect shade of dream matte mousse was something everyone around me went through. 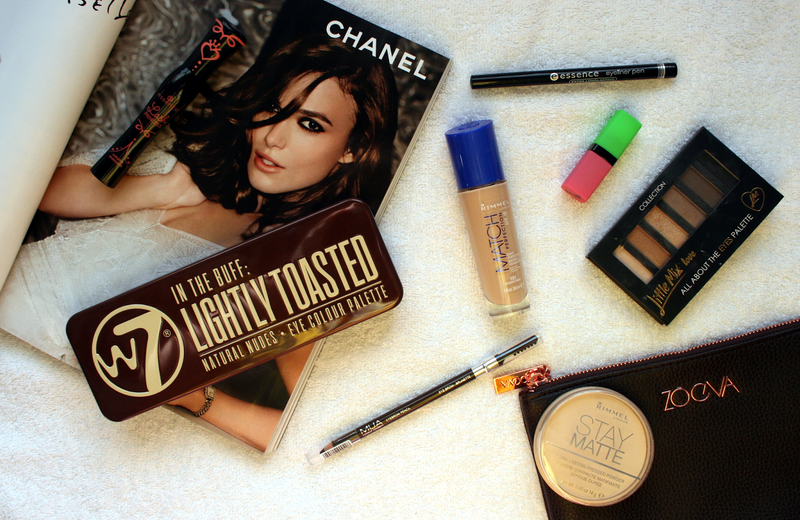 Great post, perfect for young teenagers entering the world of make-up.